Ronaldo Jacaré celebrates win at Strikeforce. 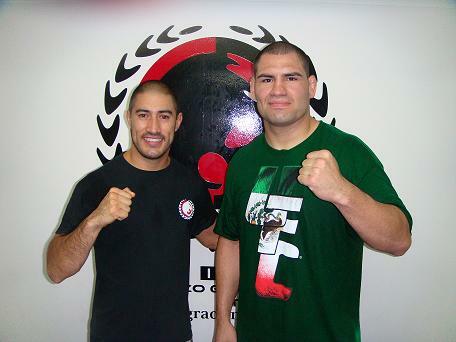 Photo courtesy of Esther Lin/Strikeforce. A celebrated name from the Jiu-Jitsu world, two-time absolute champion Ronaldo Souza made his move to MMA back in 2005, and now he’s a standard bearer for the Strikeforce middleweight division. “Jacaré,” as he’s known, captured the divisional title by beating Tim Kennedy in August of 2010. He’s had two defenses since, losing the second and the title to Luke Rockhold in 2011. While Strikeforce seems to be fizzling as a promotion, amid rumors that the impending January event will be its swan song, Jacaré is only becoming stronger and better-trained. In the following interview, he speaks with GRACIEMAG.com about his next commitment against Lorenz Larkin—possibly his last in Strikeforce. 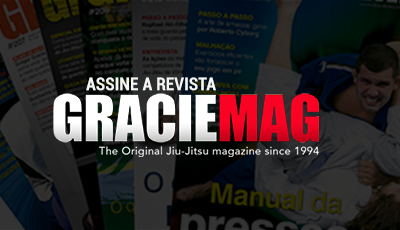 GRACIEMAG.com: What do you make of Lorenz Larkin, Jaca? JACARÉ: He’s an excellent striker. And he’s well-rounded, too. He was going to fight Luke Rockhold for the belt before Luke got injured, so this is the kind of challenge I like — a tough fight! What about your training in Rio de Janeiro, how’s that going? I’m training really hard. I’m sharpening up my boxing with Josuel Distak and Cesário Bezerra and doing wrestling with Adrian Jaoude. The physical conditioning is taken care of by Rogério Camões, as always. Training’s going off here at X-Gym. We’ve got excellent sparring partners. Do you feel like you’ve got one foot in the UFC? What do you expect there? I’ve got a good feeling about it. It was always my goal to fight there, so let’s wait and see. There are definitely excellent fighters in my weight class in the UFC, so I see myself doing great fights with the best in the world. Is there anyone in particular you want to face over there? My goal in the UFC is to take one step at a time, have great fights and put on a show for the folks who dig MMA. I’ve never picked opponents, much less turned down a fight. I’ll fight whoever they put in my way.